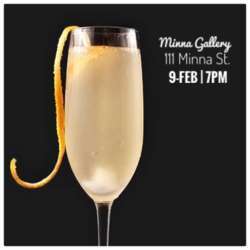 Please join Alexandra, Conyee and Hilary for a Saturday Happy Hour at Minna Gallery. Minna is a beautiful SoMa gallery for up-and-coming artists to display their work; at night it morphs into an after-hours venue for parties & events. With a mix of business suits and hipsters, friendly staff, moderate prices, great beats and strong drinks, Minna Gallery is a stunning space to network with friends and other expats. So, don't miss this opportunity to meet friends and mingle with other expats and global minds from all over the world! As always, Alexandra, Conyee, and I look forward to seeing you on Saturday, 9 February!